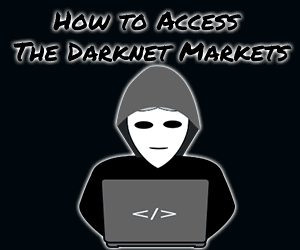 With the hoards of Darknet Markets coming up these days, it’s getting harder and harder for users to get to that one marketplace which has all the ingredients they seek, security, easy user-interface, currency-support and primarily products! That’s what this CGMC Market Review aims at easing up a bit. We’ve spent over a decade on the Dark web, this website is nearly half a decade old by itself and hence we’ve learnt to analyze, filter and bring out a transparent and unbiased review of marketplaces which focuses on all the important factors which matter. Bottom line, if you need to know what the CGMC marketplace is like without having to actually visit it on Tor, just keep scrolling through this CGMC Market Review. CGMC stands for “Cannabis Growers and Merchants Co-Op” and judging by its name so far it seems to be a Darknet Market either exclusively or mostly for Cannabis trade. Supports: Multisig, 2-FA, and PGP. Vendor Bond: 2-3% of each sale. Yes, CGMC is one of those Darknet markets which has a mandatory registration requirement for users to access the platform. Without registration, no part of the website can be accessed or used in any way. As is evident, it doesn’t ask for any kind of personally comprising data such as real name, address, ID-proof and the only required fields are a username and a password, both of which can be totally random without any link to a user’s real life. So bottom line, it’s more conservative than most other marketplaces we’ve crossed paths with, and a new registration would take a minimum of 24 hours! Although that reduces spam users by a great length and only serious users actually signup for the marketplace so there’s that. How Hard or Easy is it using CGMC? Once users have signed up, the immediate next aspect that is questioned is the UI (User-interface) of a platform, which indicates how smooth, easy, or hard using the platform is from a complete newbie perspective. The UI or layout at CGMC is one of the most premium-looking and professional ones I’ve seen with a darknet market, ever! As soon as users log in for the first time, they’re greeted with a popup which asks them to choose their region and displays the number of active vendors for that specific region. Once the popup disappears, the page beneath is revealed. It has a top-bar with some important buttons which include My account, Browse Products, Messages, Orders etc. Then there’s a beautifully crafted slider which lists all the product-categories so users can narrow down their product-hunts without a lot of hassle. Below that, all vendors-logos are displayed in case users wish to purchase from specific vendors directly, followed by another section of vendor-details which lists “Top Sellers” and “New Arrivals” which help new users instantly find trusted vendors. Even the product pages are extremely well designed, they have a left-sidebar which lets users select where their vendors are shipping from, then they get a filter for the payment method, followed by drop-down sliders for product categories. The products are displayed with a large-enough thumbnail, the price of the product is listed just below the thumbnail both in USD as well as in BTC value. Users have three tabs to either view details, Add to cart or favorite the products for a later time! The quantities of the products too can be specified right there! The “sort” feature awed me as well, it’s one of the very few marketplaces which lets users sort products based on prices (high to low and vice-versa), popularity, name and even amount! So in a nutshell the user-interface is extremely graphic-rich, easy to navigate around and in-built with mainstream E-com-like features and filters along with well-placed buttons for all the important links. I’d totally rate it a 5/5 for this CGMC Market Review. What Products are Available on CGMC? Flowers is divided into 4 sub-categories which are Sativa, Indica, Hybrid and CBD Strains. It has 675 individual product listings and lists products which are popularly termed as “flowers” (obviously) in the drug-world. Some of the available products include Alien OG, Indoor TRIM, Gorilla Glue, Norcal etc. The cheapest product in the category is Banana OG for USD $10.00 while its most expensive product may cost as high as USD $18,000 for 10pounds of Cali frost, which is one of the most expensive product-listings I’ve ever seen! The second most well-stocked category is “Concentrates” with as many as 604 individual listings and it too is divided into sub-categories which are Hashish, Shatter, Speciality, Wax, Distillate, and CBD. The category includes products such as Unstable Nun Rug, Trim Run Pull N Snap, Propane Hash oil etc. The most expensive listing in the category is 4Lbs of Nun Rug for USD $22,000. The cheapest on the other hand being DOAP (soap made with CBD) for USD $10. Edibles, the third-category on the marketplace has 130 listings and is sub-divided into Baked Goods, Chocolate, Hard Candy, CBD Edibles etc. It obviously comprises of products which aren’t inhaled or injected in, and rather “eaten”! And finally, Shrooms the final category on the marketplace has 35 individual listings and comprises of different types and strains of mushrooms. The most expensive listing in this category is Psilocybe Cubensis for USD $1500 while the cheapest is Liquid mushrooms for USD $19.95! So that’s it folks, I suppose this section right here in this CGMC Market Review is the most detailed and informative column you’ll find about the product listings on the marketplace on the whole of the internet, don’t you agree? Which Currencies are Accepted on CGMC Market? CGMC market accepts two primary currencies as its mode of payment, Bitcoin and Litecoin. Bitcoin should be quite enough for most users out there, but in case you wish to save on the transaction fee and time, Litecoin poses for a viable option. Although which currency can be used to pay for individual orders depends on individual vendors. How Secure is CGMC Market? The market so far seems one of the most professionals ones in my personal opinion, but can the same be said about its security features? Well, it does offer Multisig Escrow which makes sure every transaction needs to be signed by more than one parties for approval which ensures no one party can move the funds without the permission of atleast one other party, also helpful in situations when the market is helpless but users need to recover their funds. Also has PGP support which further encrypts communication as well as is needed for Multisig setup along with being used for 2-Factor authentication which too is supported by CGMC. All in all, it’s pretty secure and doesn’t lack any security features which one expects to be present on a Darknet market. How to be a Vendor on CGMC Market? In order to be a vendor on CGMC market, users need to manually send a PGP-signed message to the marketplace support team! Although they have pretty strict requirements before a vendor is approved further making it a marketplace I personally am inclined to trust. Vendors need to have atleast 6months worth of transparent and verifiable trading history on other established marketplaces with minimum 200 transactions. They also need to have a minimum rating of 4.95 /5 and less than 1% negative reviews! Even after that, the existing vendors at CGMC Market vote on the user profiles and only then if the user gets enough votes they’re provided with the vendor accounts! So that’s me signing off this CGMC Market review folks, I believe I’ve brought forward all the important aspects and features that the marketplace consists of. It’s not extremely product-rich but pretty well-stocked for most users. The security features too are acceptable and the user-interface is without doubt impressive. So in my personal opinion it’s a marketplace which deserves a chance especially when we go shopping for Cannabis next. But hey, that’s just me. Let me know what you think of the marketplace as well as CGMC Market Review in the comments down there!